Today we're taking a behind-the-scenes look at one of my favorite jewelry designers, Ashley, from Candles and Confetti!! I have been a fan of -ok fan is a complete understatement, I'm addicted to- her jewelry for a few years now (Don't worry there's CCA, Candles and Confetti Anonymous, to help with your jewelry buying problems... JOKING!) 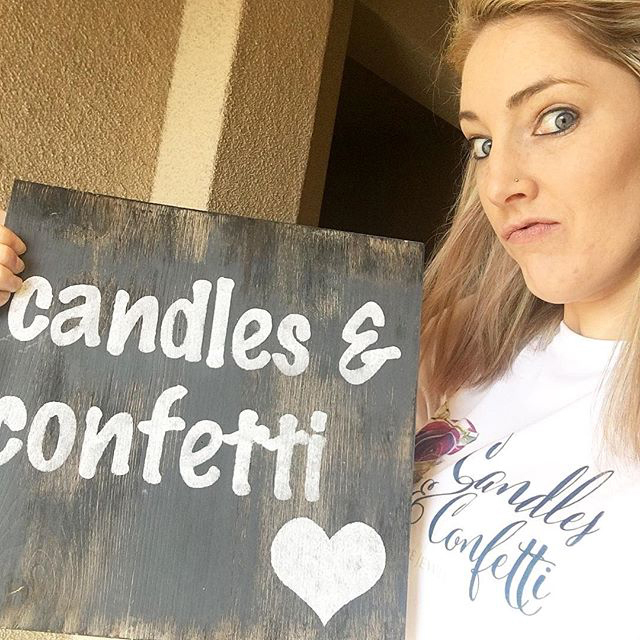 I remember the first time I found her page on Instagram @candlesandconfetti, I was completely blown away! There were so many great styles and I knew I had to buy something, but I didn't know where to start. Here's where Ashley came in. She's the woman behind the company and when I reached out to her, she went above and beyond with helping me find what I wanted and creating what has turned out to be a downright gorgeous collection. Summer Heat; Girl and Dress Meet! Summer's here and that means two things; it's hot and the days are long. Is that so terrible? Absolutely not... when you're not susceptible to heatstroke. I do not do well with heat. I get overheated very easily and have a tendency to faint. Luckily I have a wonderful husband that always watches out for me; making sure I'm constantly drinking water when we're out in the sun to keep me cool and hydrated. I also have another wonderful anti-heatstroke device... the dress.